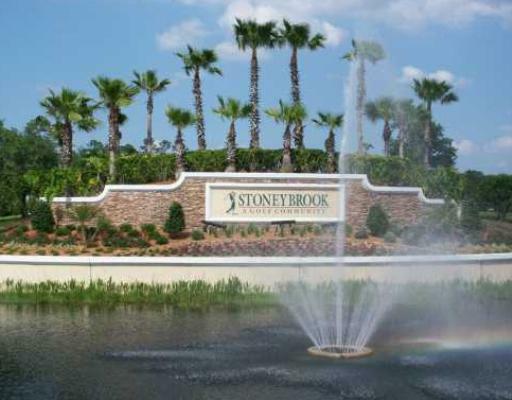 Stoneybrook is a beautiful residential golf community located in East Orlando off Alafaya Trail about 5 miles south of the east-west expressway. Stoneybrook is gated and guarded with 24 hour manned security. The community features many amenities for the residents to enjoy including a clubhouse, pool, fitness center tennis courts and a park. Stoneybrook is conveniently located near shopping, dining, schools. Within just 10 minutes you can be at the Waterford Lakes Town Center which is home to popular retailers, including Super Target, Best Buy and T.J. Maxx. Waterford Lakes is also home to more than 100 specialty shops, a variety of restaurants, Regal Cinemas 20 theater and ongoing entertainment in a park-like, open-air environment. Stoneybrook has easy access to SR 408 and SR 417. Stoneybrook is just a short distance away from the Orlando International Airport, downtown Orlando and Central Florida's world class theme parks, including Disney World, Universal Studios and SeaWorld. Buying or Selling a home in Stoneybrook?